Let me share a personal story about the important differences between how I was trained in Surgery regarding medical errors and later training in statistical process control. Here, let’s discuss some personal thoughts on the important differences between a more systemic approach to error and the more traditional take on error which includes a focus on personal assignability. I am sharing these thoughts owing to my experience in different organizations. These experiences have ranged from some organizations which seek to lay blame specifically in one person to those organizations that are system focused on error reduction at the systemic level. What are some characteristics of each of these approaches? I remember well my general surgical training and subsequent fellowships and I’m grateful for them. I didn’t realize, at the time, how much of my training was very focused on personal issues with respect to quality improvement. What I mean is that, at the morbidity and mortality conference, I was trained both directly and indirectly to look at the patient care I provided and to focus on it for what I could improve personally. This experience was shared by my colleagues. The illusion by which we all abide in morbidity and mortality conference is that we can (and should) overcome all the friction inherent in the system and that by force of personal will and dedication we should be able to achieve excellent results or great outcomes based on our performance alone. What I mean is our morbidity and mortality presentations, or M&M’s, don’t focus on how the lab tests weren’t available, how the patient didn’t have their imaging in a timely fashion, or any of the other friction that can add to uncertainty in fluid situations. M & M, as many of my colleagues have said, is a contrivance. Read on, however, because there’s more: while M & M may be a contrivance, it is a very useful contrivance for training us as staff. Consider that in the personally assignable world of the M&M conference we often take responsibility for decisions we didn’t make. 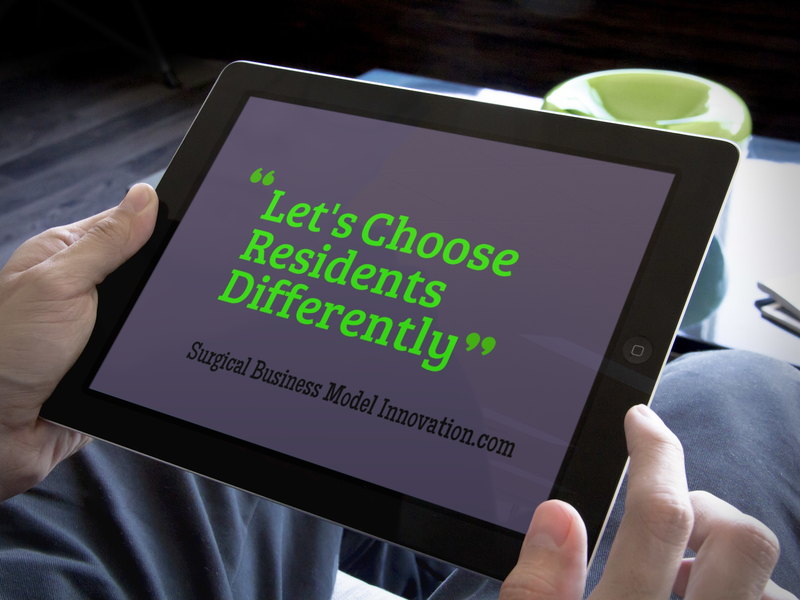 Part of the idea of the M&M conference to this day (despite the 80 hours restrictions for residents) is that the resident understand the choices made in the OR and be able to defend or at least represent them effectively…even if that resident wasn’t in the OR. So from the standpoint of preventing defects, a case presentation by someone who wasn’t in the OR may help educate the staff…yet it probably doesn’t make for effective process improvement–at least not by itself. Clearly, this “personal responsibility tact” is an excellent training tool for residents. Morbidity and Mortality conference focuses on what we could do better personally. It forces us to read the relevant data and literature on the choices that were made in the operating room. It is extraordinarily adaptive to place trainees in the position where they must defend certain choices, understand certain choices, and be able to discuss the risk versus benefit of the care in the pre-operative, intra-operative, and post-operative phase. However, classic M&M is not a vehicle for quality improvement. What I mean by this is that we in statistical process control know (and as we in healthcare are learning) there are many reasons that both positive and negative outliers exist. Only one of the causes for a “bad” outcome is personal failure on the part of the provider and staff, and, in fact, most issues have roots in many other categories of what creates variation. This does not mean that, as a provider, I advocate a lack of personal responsibility for poor medical outcomes and outliers in the system. (I’ve noticed that staff who, like me, grew up with the focus on personally assignable error and a “who screwed up” mentality typically accuse the process of ignoring personal responsibility owing to their lack of training or understanding of the process.) However, I recognize that outcomes have “man” or “people” as only one cause of variation. In fact, as we have described previously on the blog, there are six causes of special cause variation. There are six categories of reasons why things occur outside the routine variation for a system. This doesn’t mean that a system’s normal variation (common cause variation) is even acceptable. In fact, sometimes systems can be performing at their routine level of variation and that routine level of variation is unacceptable as it generates too many defects. 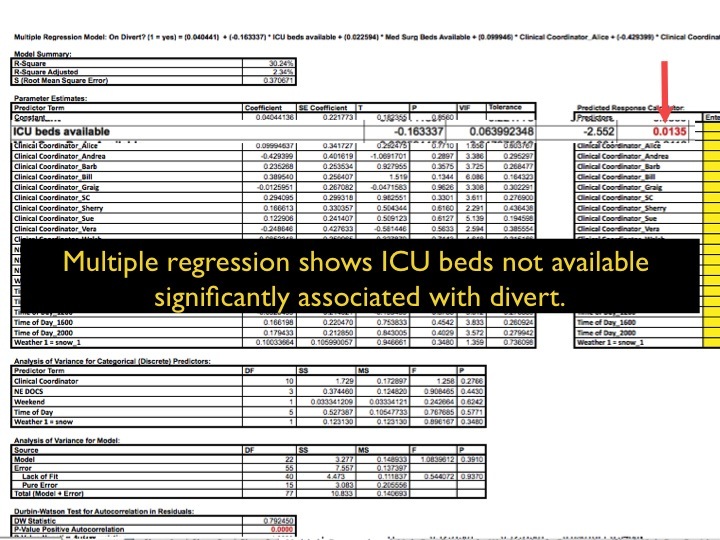 Here, let’s focus on the fact that there are 6 causes of special cause variation which can yield outliers above and beyond other values we might see. As mentioned before in the blog here, these 6 causes include the 6 M’s, which are sometimes referred to as the 5 M’s and 1 P.
Which approach to error and process improvement do I favor? I favor the more comprehensive approach to error reduction inherent in the statistical process control methodology. This process is not just for manufacturing and I know this because I’ve seen it succeed in healthcare, where much of the task involved was helping the other physicians understand what was going on and the philosophy behind it. Let me explain why there can be so much friction in bringing this rigorous methodology to healthcare. In healthcare, we are often, I believe, more slow to adopt changes. This is especially true for changes in our thought processes and philosophy. I think this is perfectly fine and is likely acceptable. This conservative approach protects patients. We don’t accept something until we know it works and it works very well. This, however, does make us later to adopt certain changes (late to the party) compared to the rest of our society. One of these changes is the rigorous approach to process control. Physicians and surgeons may even feel that patients are so different that there can be no way to have data that embody their complexities. (That’s another classic challenge to the Lean and Six Sigma process by the way.) Of course, in time, physicians realize that we use population level data all the time and we see it in the New England Journal of Medicine, The Lancet, and other journals. A rigorous study with the scientific method, which is what statistical process control brings, allows us to narrow variation in a population without ignoring individual patient complexities. After all, we do not commit the fallacy of applying population level data directly to individual patients and INSTEAD make system-wide changes that support certain outcomes. Surprise, after only a month of experiencing the improvements, even physicians come to believe in the methods. Also, physicians are not trained in this and we see only its fringes in medical education. This is also adaptive, as there is a great deal to learn in medical education and a complete introduction to quality control maybe out of place. However, the culture of medicine (of which I am a part) often still favors, at least in Surgery, this very personal and self-focused approach to error rate. However, I can say with confidence and after experimentation, that the systemic approach to error reduction is more effective. As a Medical Director and Section Chief for a trauma and acute care surgery center, I had the opportunity to deploy statistical process control in the real world as my colleagues and I re-bulit a program with administrative support. This was highly effective and allowed our surgical team to focus on our rates of defect production as a system. This eliminated focusing on individual differences and instead helped team building etc. 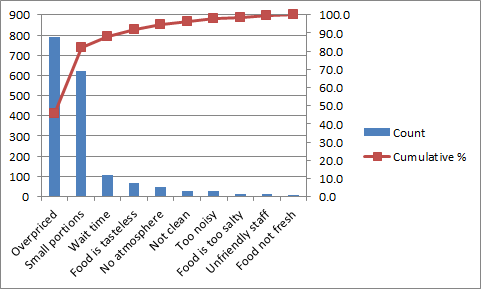 It also gave a rigorous way for us to measure interval improvement. These are just a few advantages of statistical process control. Other advantages included the fact that it allowed us to know when to make changes and when to let the system chug along. Using statistical process control allowed us to know our type one and type two error rate which is key to know when to change a system. For more information regarding type one and type two error rate look here. There are advantages to both approaches to errors. The straightforward and often more simplistic view of personal responsibility is highly adaptive and very advantageous for training surgeons. I think that, while training surgeons, we should realize (and make it transparent) that this personal approach to error is merely a convention which is useful for teaching, keeping us humble, and focusing on how we can improve personally. After all, the surgical trainees often are in the position where they must take responsibility in a conference format for decisions over which they had no influence. They also must, again, give the illusion that there were no barriers to excellent patient care beyond their control such as multiple trauma activations at once, lab tests not being performed, and no short-staffing on holidays. Again, personal responsibility and the illusion of complete control over the production of errors is important when the focus is on education and for this reason the personal approach to error is highly adaptive. However, when we want to actually make less defects, a systemic approach to error that recognizes personal issues as just one of 6 causes of potential defects is key as is rigorous methodology to bring about change. Being able to quantify the common cause level of variation and special causes of variation in a system is a very useful tool to actually make less defects. As statistical process control teaches us, prevention is the only portion of the cost of poor quality that has return on investment. For more information on the cost of poor quality, visit here. At the end of the day, I view personal responsibility for medical error as just one portion of a more comprehensive view on error reduction, risk reduction, and true quality control. As a surgeon, I strongly advocate personal responsibility for patient care and excellent direct patient care. This is how I was trained. However, I feel that, although this is key, my focus on how I can do better personally is part of a larger focus that is more comprehensive when it comes to the reduction and elimination of defects. Statistical process control gives us a prefabricated format that uses rigorous mathematical methods to embody and allow visualization of our error rate. 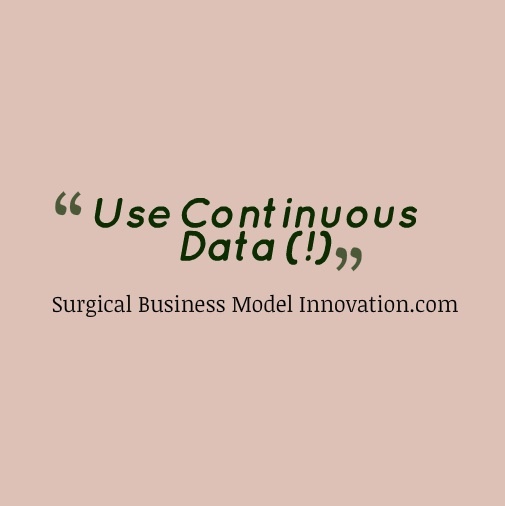 Other differences from the more classic model of process improvement in healthcare include that statistical process control tends to degenerate less often into a pejorative discussion than the personal focus approach. Unfortunately, I have been in systems previously where staff are overly focused on who made an error (and how) while they ignore the clear issues that contributed to the outcome. Sometimes, it is not an individual’s wanton maliciousness, indolence, or poor care that yielded a defect. Often, it’s that there was friction inherent in the system and the provider didn’t “go the extra mile” that M&M makes us believe is always possible. Sometimes it is a combination of all these issues and such non-controllable factors such as the weather or similar issue. The bottom line is, at the end of the day, statistical process control as demonstrated in Lean and Six Sigma methodology allows us to see where we fit in a bigger picture and to rigorously eliminate errors. I have found that providers in the systems tend to “look much better” when there has been this focus on systems issues in a rigorous fashion. Outcomes that were previously thought unachievable become routine. In other words, when the system is repaired and supportive, the number of things we tend to attribute to provider defects or patient disease factors substantially decreases. I have had the pleasure to deploy this at least once in my life as part of a team, and I will remember it as an example of the power of statistical process control and Lean thinking in Medicine. Questions, comments, or thoughts on error reduction in medicine and surgery? Disagree with the author’s take on personal error attribution versus a systemic approach? Please leave your comments below and they are always welcome. This tool is useful for creating graphics focused around quotations. We use this one routinely so as to generate some of the titles for our blogs. Color and font can easily be varied. This looks great on a Mac or Windows PC. Placeit is a relatively new tool to us. This lets you take any picture file and place it in a natural setting on a PC, iPhone, iPad or similar device. These look very nice and are available for download. They have a premium model where the picture is watermarked unless you pay for a subscription. They have different licence levels based on expected traffic for your blog or website. Natural readers is the program we utilize to generate audio content. Natural readers is an excellent tool to vary the type of content on your blog. After we have an entry created we use natural voice so as to generate the red version of the entry. We then embed this in our blog by taking the MP3 file we generate and placing it in to our entry. Varied content in terms of media is felt to be more attractive to views by most bloggers. Twitter is an excellent tool to help drive traffic to your blog. You can create a teaser or tweet that lets people know about your new entry and drives traffic. You probably already know, if you are a fan of twitter, about URL shorteners. URL shorteners such the one available from google or tinyurl.com take long website names and shorten them so that these can be input into Twitter and similar social media outlets. These shorter URL’s take up less characters and often these links are permanently directed as redirects to your content. This allows you to type a longer message with a shorter URL so that you have more characters to do what you want in Twitter. Slideshare is an excellent content outlet. You can create a powerpoint or MP4 movie and upload this. This allows you to direct traffic, again, to your blog. Slideshare has many viewers. Storify is a very useful service that allows you to incorporate tweets and other links into the body of your entry. This allows you to type an entry and craft content with social media. It is very useful for quick blog entries on hot topics. Storify allows you to embed content onto your website. WordPress is one of the most popular platforms for blogging etc. It is easy to embed different media into your blog entry. We advise you to purchase a standalone domain name from godaddy.com. Our blog name is unusually long; a shorter one would probably be more useful. However, your blog title should make it clear what your blog is about. We recommend uploading WordPress directly to your new domain with godaddy or similar platform. Ours is done with godaddy and it was very straightforward for even a non-programmer to upload WordPress to get started. Linkedin is another tool we use to drive traffic to the blog. As a new feature on Linkedin, you can upload the title and content of your blog as a link on your profile. New entries will appear as part of your showcase and will direct people to your blog. When you log into LinkedIn, check David’s profile and you’ll see the blog entries. 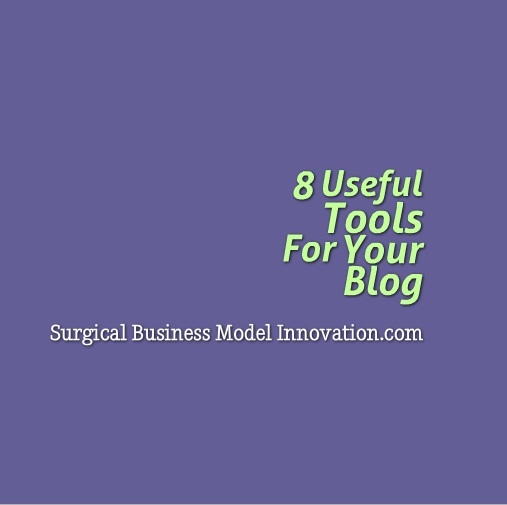 We hope you find these 8 tools useful for your blogging experience. Remember, blogging is sort of a labor of love–it takes time to increase traffic and get the certain look and feel you want for your blog. In a future entry we will describe some of our experience for how to drive traffic to your blog. Please notice that varied content and multiple outlets are useful to bring people to your site. Additionally, allow us to recommend utilizing photos and eye catching content. Remember, on Twitter and other outlets, content with photos and other media are viewed and clicked much more frequently than the content that is text only. Again, we hope you find these tools and tips useful to achieve the look and exposure you would like for your content. If you have any questions, suggestions, or other tips that you think would be helpful to writers who maintain a blog, let us know. We are always glad to hear! One of the biggest challenges with quality improvement projects is clearly demonstrating the business case that drives them. 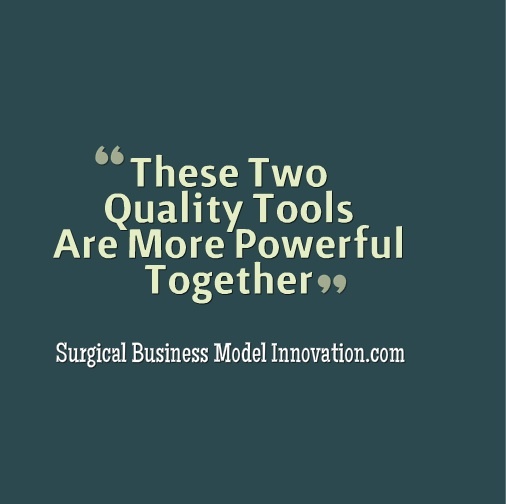 It can be very useful to generate an estimated amount of costs recovered by improving quality. One of the useful tools in Lean and Six Sigma to achieve this is entitled ‘The cost of poor quality’ or COPQ. Here we will discuss the cost of poor quality and some ways you can use it in your next quality improvement project. The COPQ helps form a portion of the business case for the quality improvement project you are performing. Usually, the COPQ is positioned prominently in the project charter. It may sit after the problem statement or in another location depending on the template you are using. 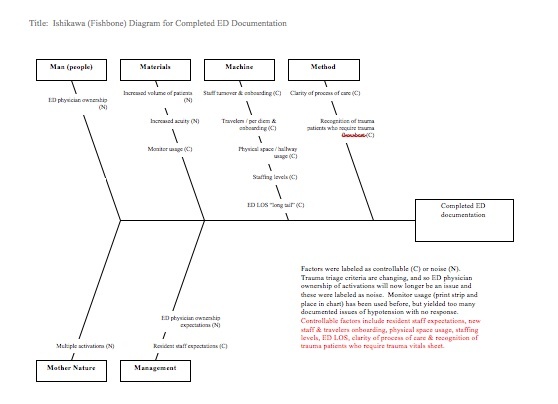 Of the many tools of Six Sigma, most black belts do employ a project charter as part of their DMAIC project. For those of you who are new to Six Sigma, DMAIC is the acronym for the steps in a Six Sigma project. It includes: Define, Measure, Analysis, Improve, and Control. Importantly, we use these steps routinely and each step has a different objective we must achieve. These objectives are often called tollgates. Things must happen in each of these steps before progressing to the next step. One of the tools we can use, and again most project leaders do use this tool routinely, is called the project charter. The project charter defines the scope for the problem. Importantly, it defines the different stakeholders who will participate, and the time line for completion of the project. It fulfills other important roles too as it clearly lays out the specific problem to be addressed. Here is where the COPQ comes in: we utilize the COPQ to give managers, stakeholders, and financial professionals in the organization an estimate of the costs associated with current levels of performance. The COPQ is composed of four ‘buckets’. These are: the cost of internal failures, the cost of external failures, the cost of surveillance, and the cost associated with prevention of defects. Let’s consider each of these as we describe how to determine the Costs of Poor Quality. The cost of internal failures are those costs associated with problems with the system that do not make it to the customer or end user. In healthcare this question of who is the customer can be particularly tricky. For example, do we consider the customer as the patient or as the third party payer? The reason why this is challenging is that, although we deliver care to the patient, the third party payer is the one who actually pays for the value added. This can make it very challenging to establish the Costs of Poor Quality for internal and other failures. 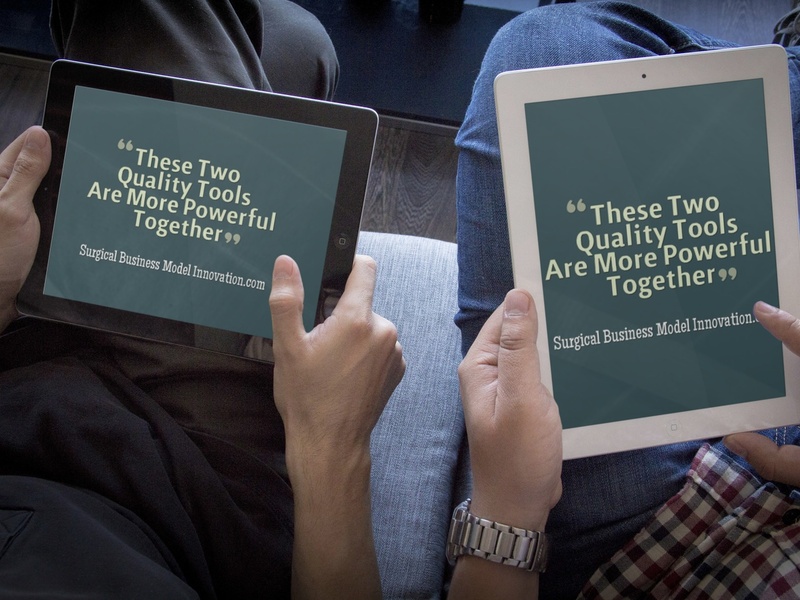 I believe, personally, this is one of the sources that puts Lean, Six Sigma, and other business initiatives into certain challenges when we work in the healthcare arena. Who, exactly, is the customer? Whoever we regard as the customer, internal failures, again, are those issues that do not make it to the patient, third party payer, or eventual recipient of the output of the process. External failures, by contrast, are those issues and defects that do make it to the customer of the system. There are often more egregious. These may be less numerous than internal failures but are often visible, important challenges. Next is the cost of surveillance. These are the costs associated with things like intermittent inspections from state accrediting bodies or similar costs that we incur perhaps more frequently because of poor quality. Perhaps our state regulatory body has to come back yearly instead of every three years because of our quality issues. This incurs increased costs. The final bucket is the cost of prevention. Costs associated with prevention are other important components of the cost of poor quality. The costs associated with prevention are the only expenditures on which we have a Return On Investment (ROI). Prevention is perhaps the most important element of the COPQ because money we spend on prevention actually translates into, often, that return on investment. In order to construct the COPQ we need to have ties to the financial part of our organization. This is where transparency in the organization is key. It can be very challenging to get the numbers we require in some organizations and in others it can be very straightforward. Arming the team with good financial data can help make a stronger case for quality improvement. 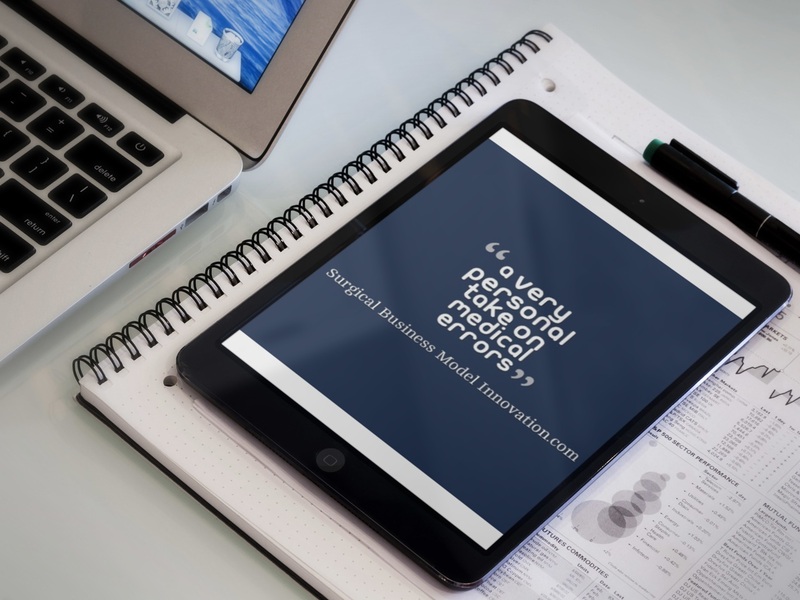 It is key, therefore, that each project have a financial stakeholder so that the quality improvement effort never strays too far from a clear idea of the costs associated with the project and the expectation of costs recovered. 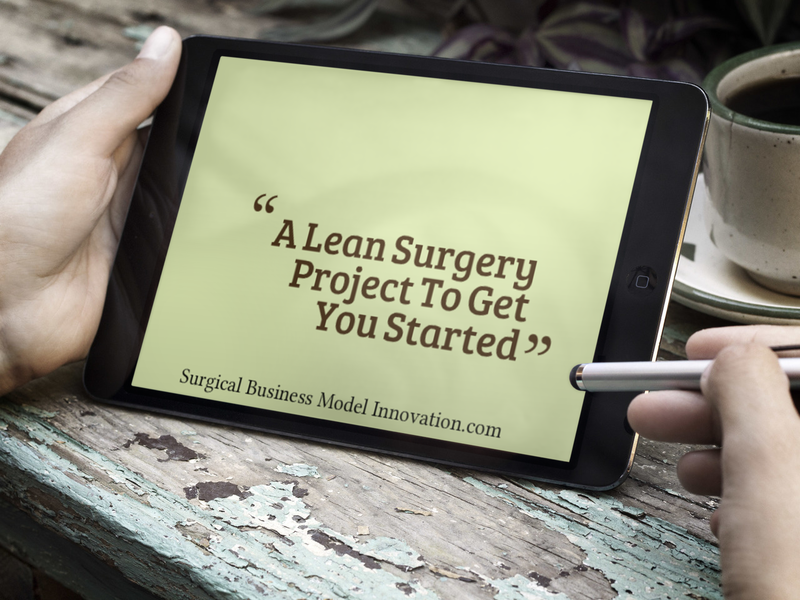 Interestingly, in the Villanova University Lean Six Sigma healthcare courses, a common statistic cited is that each Lean and Six Sigma project recovers a median value of approximately $250000. This is a routine amount of recovery of COPQ even for healthcare projects and beyond. It can be very striking just how much good quality translates into cost cutting. In fact, I found that decreasing the variance in systems, outliers and bad outcomes has a substantial impact on costs in just the manner we described. In conclusion, the Cost of Poor Quality is useful construct for your next quality improvement project because it clearly describes exactly what the financial stakeholders can expect to recover from the expenditure of time and effort. The COPQ is featured prominently in the project charter used by many project leaders in the DMAIC process. To establish the COPQ we obtain financial data from our colleagues in finance who are part of our project. We then review the costs statements with them and earmark certain costs as costs of internal failure, external failure, surveillance or costs associated with prevention. We then use these to determine the staged cost of poor quality. Additionally, we recognize that the COPQ is often a significant figure on the order of 200-300 thousand dollars for many healthcare-related projects. 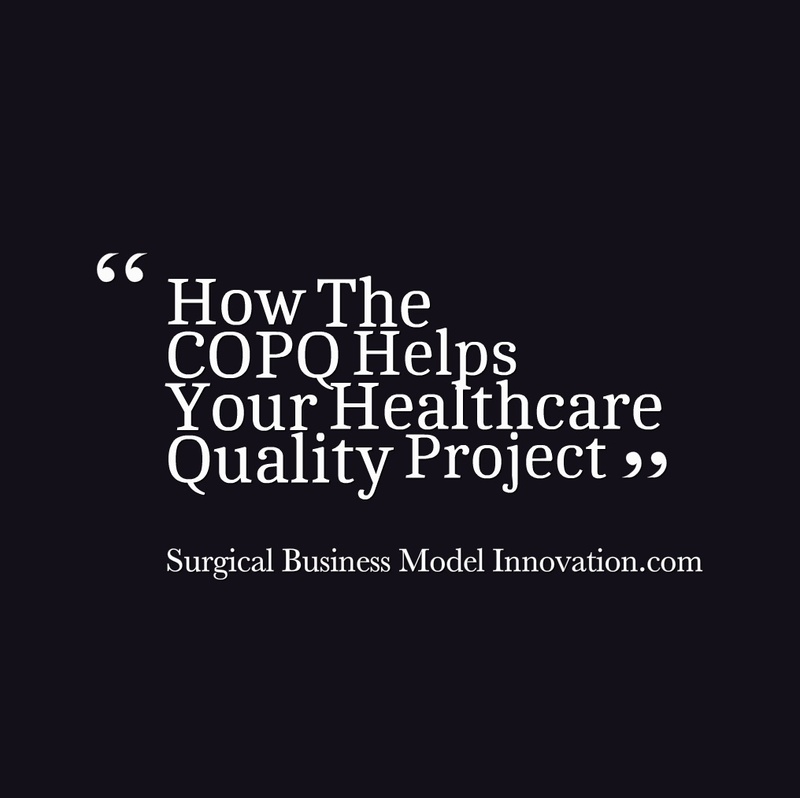 We hope that use of the COPQ for your next quality improvement project helps you garner support and have a successful project outcome. Remember, prevention is the only category of expenditures in the COPQ that has a positive return on investment. Thought, questions, or discussion points about the COPQ? Let us know your thoughts beneath. 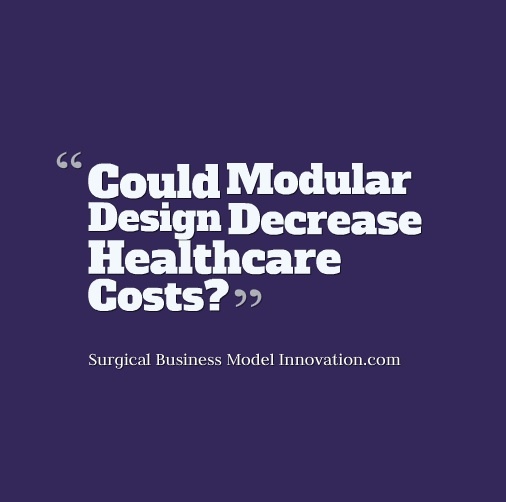 Posted on March 1, 2014 Author David	No Comments on Could Modular Design Decrease Healthcare Costs? Could Modular Design Decrease Healthcare Costs?